Adoption of technology and digital can help achieve the target. Digital is already playing a major role in the sector with domestic air ticket and railways booking continue to be among top contributors to the Online Travel spends. Online Hotel booking has seen a substantial y-o-y growth of 60%. The Ministry’s vision can be fast tracked with the help of technology. However, for that to happen, the government must lower the tax burden, ease rules and build infrastructure if it wants to ensure 15-20 percent annual growth in tourism in coming years. Issues pertaining to GST, opening up of the shared economy and facilitating the adoption of new tech could herald the next trillion opportunities for the sector. 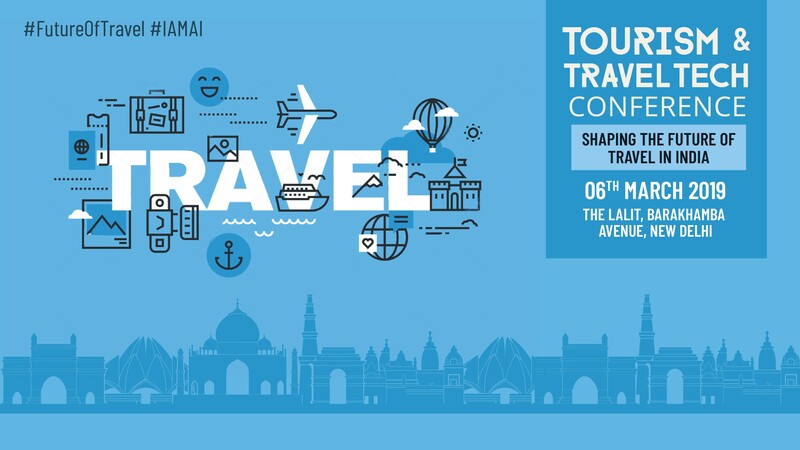 Against the said backdrop Internet and Mobile Association of India (IAMAI) is organising,Tourism & Travel Tech Conference 2019 on 06 March 2019 in New Delhi. The conference will chart the roadmap on how tech can be used to maximize the potential of this sector. The discussions are expected to set a series of recommendations on policies and innovative measures that India needs to implement to develop a competitive and sustainable tourism sector making it a major contributor to strategies aimed towards an inclusive and sustainable growth. Gain knowledge and insights from top industry leaders and Experts. Co-Founder & CTO, NiYO Solutions Inc.
Aloke Bajpai is the CEO & Co-Founder of ixigo, India's leading travel search marketplace. A travel industry veteran, he worked in various product & technology roles at Amadeus, France, prior to launching ixigo in 2007. Under his leadership, ixigo has built the most innovative travel technology brand in India. Aloke is also a key investor and advisor for several startups and accelerators. An IIT Kanpur alumnus and MBA graduate from INSEAD, Aloke loves discovering new cultures, creative writing, history and gadgets. Today his Online Travel Company, Royal Indian Trains - is counted amongst the top five generators of business for luxury Train Tours like Palace on Wheels, Maharajas Express, Deccan Odyssey & Golden Chariot etc. Rajan Sehgal did graduation and post graduation in tourism from University of Delhi . Worked with Lufthansa German airlines GSA for 11 years and sent by them to Germany for basic ,advance travel and ticketing trading and stood first among 15 countries .Worked with ITC Travel division International Travel House for 7 years and heads the travel .He Started his Travel company called ARRIVALS AIR SERVICES P LTD in the 1996 . Also teaching and training at Delhi University and various other travel tourism inst . Started a new company called PASSIONALS . 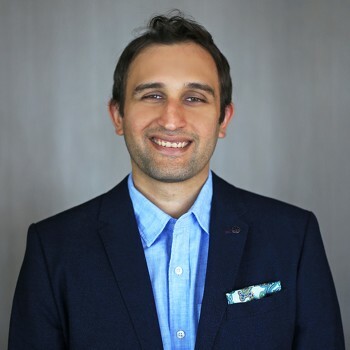 Aloke is the co-founder and CEO of OpenSky Resorts, an aggregation and branding platform for small, unique hotels. His venture seeks to bring the benefits of scale and organization to the small-hotel sector, in the leisure segment. OpenSky is now a ‘virtual chain’ of 25+ properties, across Himachal, Uttarakhand, Rajasthan, MP and Haryana. Aloke spend 25 years in the travel domain, with Air India and Oman Air, heading Network, Planning and Revenue Management, before turning entrepreneur. Aloke is also Senior Advisor with CAPA India, the aviation consultancy and advisory firm. Amit Damani completed his graduation from Northwestern University, Chicago, and went on to teach at a government school for two years as a Teach for India Fellow. After a stint at Dalberg, a strategy consulting firm, Amit co-founded Vista Rooms, which is now a prestigious chain of 150+ exclusively managed luxury holiday homes across India and Sri Lanka. The Director of Lonely Planet India, Sesh Seshadri is one of the most established names in the publishing industry today. Carving a niche for himself with a career spanning over four decades, he played a vital role in Lonely Planet’s entry into the Indian market with the launch of its series of Travel Guides in 2012. Lonely Planet has till date launched 48 titles. His current role is to create a sustained and successful presence for Lonely Planet in India adding value to their future developments. 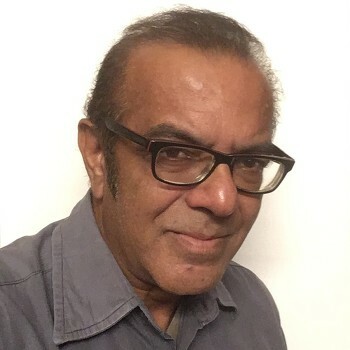 Previously associated with Oxford University Press (OUP) for over 25 years until 1997, Sesh Seshadri was the only employee to be appointed to 3 of OUP’s national strategic committees’ viz. Educational, Academic and Finance & Operations. Sesh Seshadri credits much of his publishing knowledge and capability to Oxford University Press. He has also worked with Dorling Kindersley. India serving as Executive Director and played a key role in the company’s revamp strategy including warehousing, customer service, marketing and publishing systems. O.V.E.R.L.E.A.F. in 1997 which passionately works towards furnishing classrooms with quality learning and providing world class teaching resources. He is also the trustee of Neelbagh Group of schools founded by David Horsburgh. Furthermore, he was the Founder Director at Textech that specializes in providing academic solutions in the form of books and ebooks that enable publishers to create, manage, repurpose, and distribute content. Sesh Seshadri comes from a family of publishing professionals with a combined experience of more than 100 years. Besides publishing and consulting, Sesh is a crazy cricket fan. If not in the publishing industry, he would surely be a cricket umpire. He enjoys south Indian classical music and is also skilled to speak in several languages. His wife enjoys being a home maker and his son Naveen has completed his MBA from Duke, USA, one among the top ten business schools and is currently working with Lonely Planet as Chief Operating Officer. 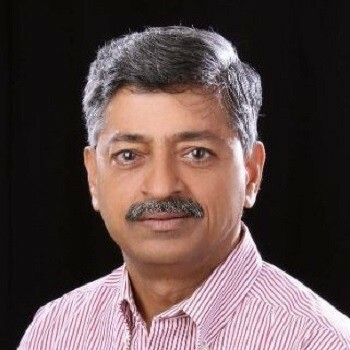 Abhijit Mishra is the Director, India and Middle East at KAYAK where he leads growth and manages country operations for India and Middle East. He is responsible for managing business development activities with strategic partners and building the KAYAK brand through marketing efforts. He joined KAYAK in 2016. Prior to joining KAYAK, Abhijit headed brand partnerships and advertising for Rovio (Angry Birds). 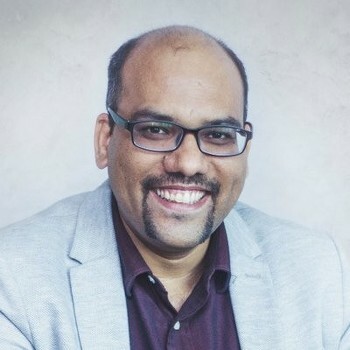 His also held roles in marketing, business development and partnerships for consumer tech companies in India such as LINE, Tata Docomo and Aircel. 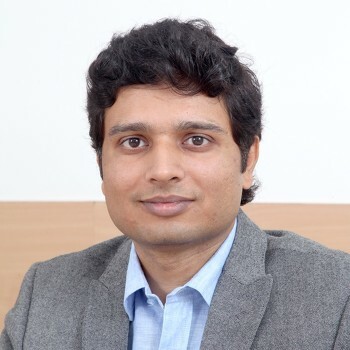 Abhijit holds an MBA in Marketing and currently resides in Delhi. Amanpreet Bajaj is the Country Manager, India at Airbnb. He is responsible for the growth of Airbnb in India, as well as overseeing operations for the Indian market. An entrepreneur from an early age, his first venture was a website for the youth, while he was an undergraduate student at Delhi University. 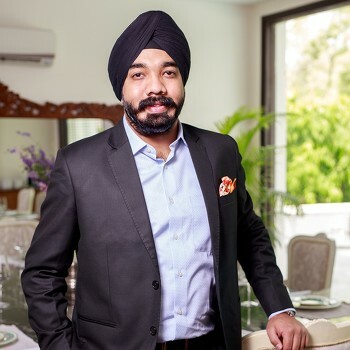 Prior to joining Airbnb, Amapreet co-founded LetsBuy.com, an Indian electronics e-commerce company, and headed operations until Flipkart acquired the firm three years later. His professional career also includes a stint with Ernst & Young as a Consultant, working with teams across varied sectors. Amanpreet lives in New Delhi. An avid graphic designer and gadget explorer, he loves travelling and experiencing new cultures. A Brand Management Expert turned Travel Entrepreneur, who loves to explore offbeat places in search of untold stories. With over 15-years of Marketing experience under her belt in India and abroad, she works as a Brand Consultant, Influencer, Photographer and a Public Speaker. Within two years of giving up her corporate career, she has cemented her position as one of the top Travel Influencers of the country, who is not only the most awarded travel blogger of India but is also a well-recognized face at the global stage. 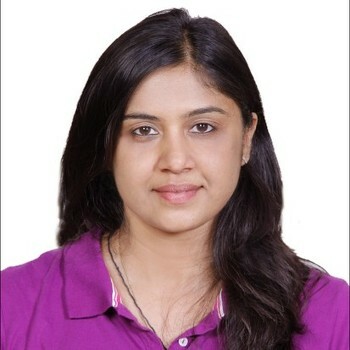 She often represents India at prestigious global conferences and writes for international publications. Currently, she uses travel as her tool to work on serious issues like women empowerment, responsible tourism and social inclusion of the underprivileged in Emerging Markets. 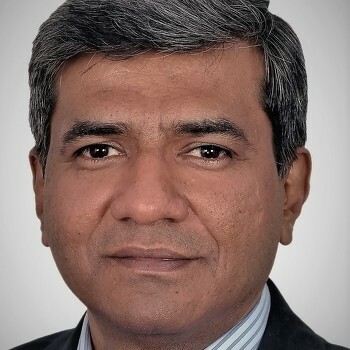 Amit Madhan is the President & Group Head - Technology & eBusiness at Thomas Cook (India) Limited, India’s largest integrated travel services company. He joined Thomas Cook in 2012 and is responsible for the diverse portfolio spanning Technology Software Services, E-Commerce and IT Infrastructure Services for the group companies. His passion for customer experience is driving him to change various processes and implement new systems to enable different businesses in the Company for smoother operations, digitisation and online customer acquisition. 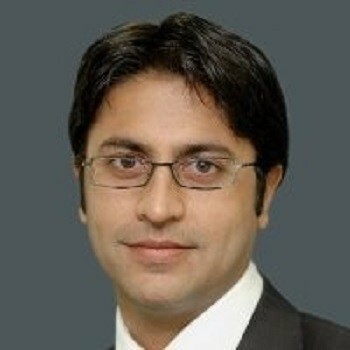 Amit joined Fairfax group in 2002, being one of the founder members of ICICI Lombard. He has worked extensively in the Financial Services domain in the initial years of his career and then moved to the eCommerce space since 2007. 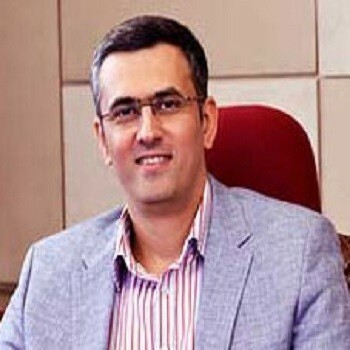 He is credited with having set up www.icicilombard.com- the pioneering E-Commerce portal in the insurance space. Amit is an Economics Honours graduate from Delhi University, post which he did his MBA from Sydenham College, Mumbai. 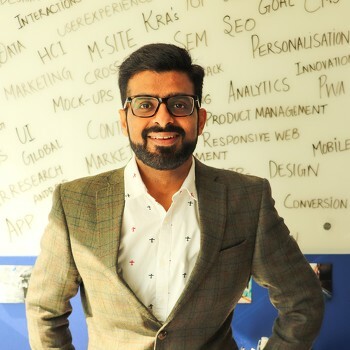 Neeraj is an MBA in Service Marketing from IMS -Indore with over 20 years of professional experience at leadership levels across offline and Online travel ecommerce with varied roles across product management, digital marketing and business analytics. He has handled PNL roles, Online product management, category leadership and customer experience roles. 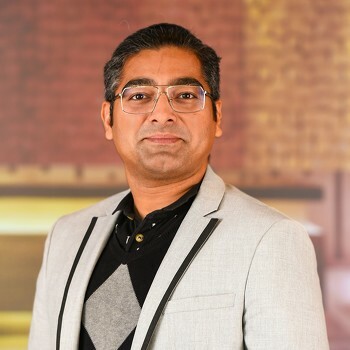 Neeraj also spends considerable time in representing Thomas Cook at various digital forums such as Google Product forums, Youtube Brandcast, Facebook forums for brands and Internet and Mobile association of India seminars. Neeraj also is regular speakers at various Digital Seminars such as I Media conference, Adtech conference and many other forums. Nitin has won the 'Design-led Entrepreneurship Awards' 2017 at TiE 2017. He has been awarded with Karnataka Brand Leadership Award 2017. He got recognised as top digital influencer and made it to Adobe Content 100 list for 2017. Nitin has recently also made it to Adobe Digi100 list for 2018. He has been chosen as one of the Smarted Digital Marketing Leaders by World Digital Marketing Congress recently. 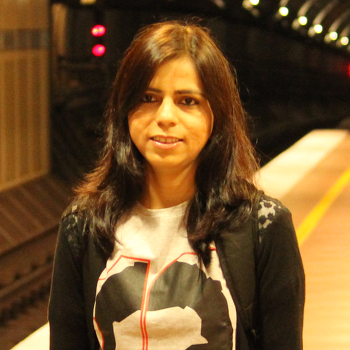 Saini is an engineer and an MBA with a strong creative streak and interest in the public domain. After a career including corporate leadership stints in US, Hong Kong and Taiwan as well as founding technology startups in Silicon Valley, Saini has found a niche that allows him to merge his business skills with artistic expression. Supported by hundreds of artists and art enthusiasts, Delhi Street Art has been involved with several art endeavours and is rightfully called "A creative Artup"! With a goal to add more color to Delhi’s open spaces, give local artists a creative outlet to express themselves, and to encourage the citizens to keep their public spaces clean, while appreciating the art, Yogesh launched Delhi Street Art on September 14, 2013. One of the first initiatives was to convert all the 150 garbage bins of Lodi Gardens into public canvases on which amateur and professional artists alike could experiment with their creativity. 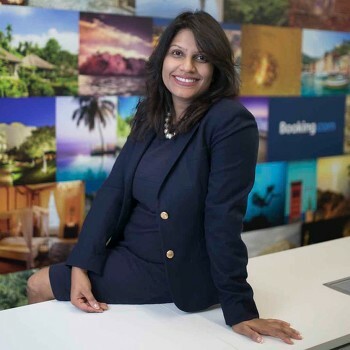 Ms. Ritu Mehrotra is currently the Country Manager-India, Sri Lanka and Maldives at Booking.com. Hailing from Gurgaon Haryana Ritu started off strong by gaining achievements from Indian Institute of Foreign Trade (2010), Harvard Business School (2012) and graduated from Harvard University in 2013. Prior to this she has also gained experience by reaching senior level leadership positions and built her expertise by working with renowned organizations like Pacific Global Bristlecone and Zomato – to name a few. In 2015 she founded Green Plate – an E-commerce site dedicated to providing corporate America with organically healthy meals. She was also Vice President Global Growth for Zomato where she formed a cohesive and competent enterprise team which boosted strategic partnerships at a global scale and increased sales for Zomato product suite. Ms. Mehrotra is very versatile and can adapt her skills to HR marketing sales and has been commended by her colleagues for being not only an astute entrepreneur but also a mentor who has helped build other leaders along the way. Nikhil Ganju is TripAdvisor’s Country Manager for India, where his mandate is to consolidate TripAdvisor’s position as the country’s leading travel site by growing it as a premier resource for the value conscious Indian traveller, who wants to make confident and informed decisions on trips they want to take. He has over 17 years of experience as a marketing professional, with most of them spent in online businesses in India. Prior to his appointment as Country Manager, Nikhil led TripAdvisor India’s marketing efforts from the launch of its operations in 2008. Before that, he was the Marketing Director at Expedia India. 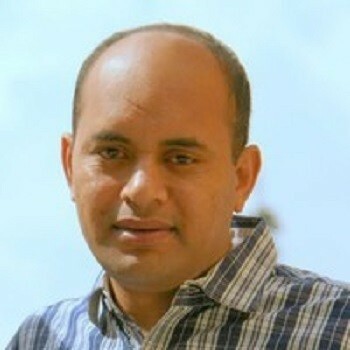 Nikhil has spent most of his career in the Internet and Tech space – starting with being a part of the very first team at baazee.com, staying with them until the site was acquired by eBay in 2004. He has also worked with Airtel, where he was marketing broadband services and Indiatimes.com, where he led Online Shopping. Nikhil graduated from College of Business Studies, Delhi University (1995) and holds a Post Graduate Diploma in Management from the Symbiosis Institute of Management Studies, Pune (1997). He resides in Gurgaon and is an avid photographer, reader, inveterate traveller and outdoor enthusiast. He has been on numerous outdoor adventures and one of his cherished travel memories is his solo trek to the Mount Everest base camp. Jaideep leads the hotel advisory and transactions business for JLL in India and South Asia. His responsibility is to grow the hotels practice from strength to strength and build a team of motivated professionals who could consistently deliver valuable advise to our clients. In this pursuit, Jaideep works closely with JLL’s India and other Asia Pacific offices to integrate best practices and ensures seamless service delivery to the clients. Jaideep has an experience of over 16 years in real estate and hotel industry. Jaideep had worked with JLL previously between 2002 and 2011 in residential, retail and hotel advisory and transactions business. 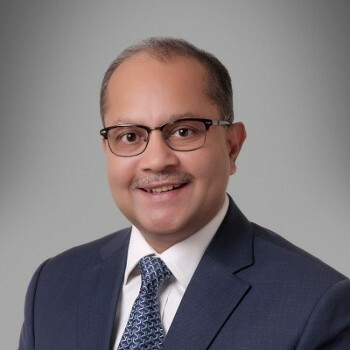 Thereafter Jaideep worked as Senior Vice President, Strategic Development with The Oberoi Group for seven years, wherein he was responsible for development and growth of The Oberoi Group world wide. Jaideep graduated in architecture from New Delhi. 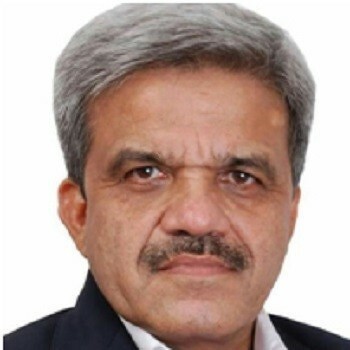 He is a member of Council of Architecture, Government of India since 2002 and a registered architect under Municipal Corporation of Delhi since 2004. Jaideep is a member of the National Committee on Tourism with Confederation of Indian Industry (CII) since 2011. Jaideep is also a member of the Hotels Association of India (HAI). 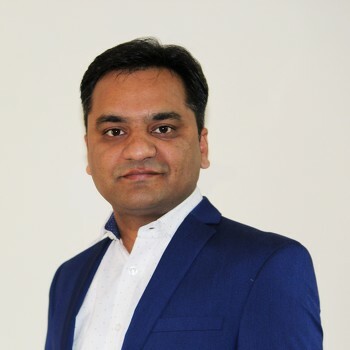 Ruchit holds 12 years of professional experience in managing various eCommerce initiatives in fastest growing eCommerce & diversified industries which include Travel, Financial Services & Cross Border Remittance in various capacities. Some of them are Product Management, Digital Marketing, Business Strategy, Process re-engineering, Out sourcing/Call Centre & P&L management. 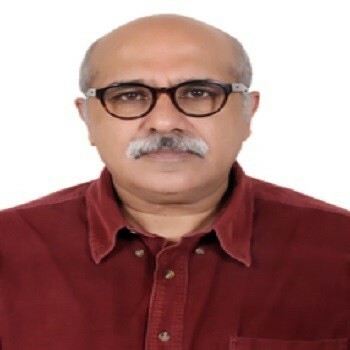 He has been associated with eCommerce since the re-inception days (2006-7) of eCommerce in India, has built and operated various channels which include Web, Mobile and Call centre from its inception to scaled up sustainable growing businesses. Ruchit has been with Thomas Cook Group for the last 6 Years and is currently the Vice President of E-Business, E-commerce at SOTC Travel. 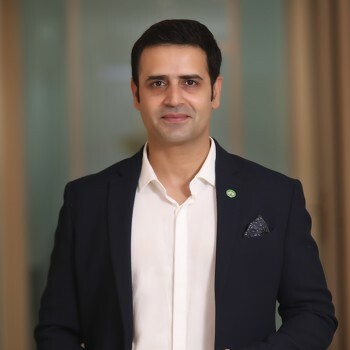 He has been responsible for setting up the eCommerce business right from its nascent stage to making it a futuristic scalable Omni channel business model. 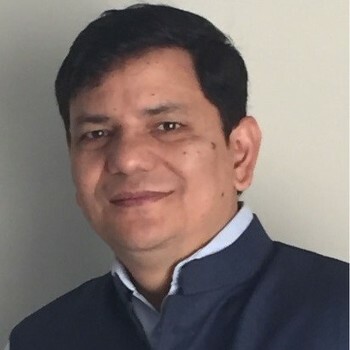 Focused on cutting age technology & capitalizing strength of retail branches network, his endeavour is to create a unique futuristic scalable online business model for SOTC Travel. Prior to this, Ruchit has been associated with esteemed organisations which include L&T General, ICICI Lombard General Insurance and Times of Money erstwhile The Times Group Company. He is an MBA in marketing. Virender is an entrepreneurial-spirited and pioneering technologist with expertise in strategic planning, financing and product designing. Virender leads a strong team of engineers to give the product a stable foundation at NiYO. He is extremely passionate about product engineering with a strong sense of initiative and commitment to excellence at every step. He is a seasoned technology professional with 16 years of experience in creating world-class software products. 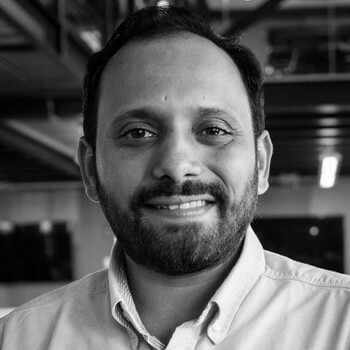 Virender is a hands-on technologist and has a reputation for building scalable solutions in the e-commerce and payments domain. 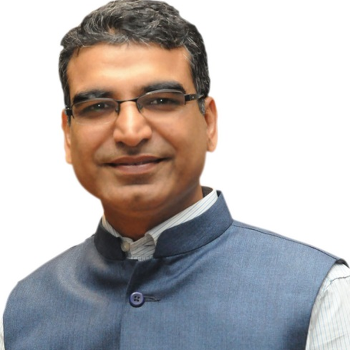 Virender is a leader experienced in managing and building high performance teams. Virender is a fitness enthusiast and a passionate runner - known for getting up early to train himself for marathons. 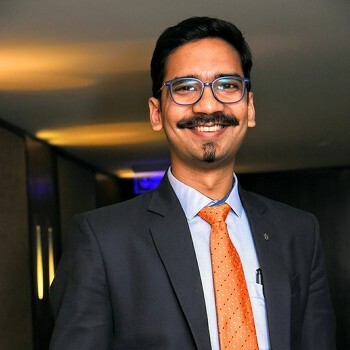 Abhishek leads digital marketing for Hyatt Hotels & Resorts in India. He is responsible for successful development and execution of Hyatt’s digital strategy and direct business for the Indian market. In his previous assignment, he has been instrumental in managing online renewal vertical for Bajaj Alliance General Insurance Ltd. He strongly believes in the power of digital ecosystem to overall business and brand strategy. In 2018, he was awarded a citation for Most Influential Marketing Leader by DMA India. Recently he was also featured in "50 Most Influential Marketing Leaders by World Marketing Congress. Travel and tourism industry professional with more than 10 years of experience in marketing, sales and operations. Since 2014 managing Korea Tourism’s marketing activities in India and SAARC Countries primarily Sri Lanka and Nepal.Responsible for marketing strategies for promotion of Leisure, MICE and Film Tourism to South Korea.Have previously worked with leading Indian travel companies: Cox & Kings and International Travel House.Techsavvy, active on social media and has keen interest on global geo-politics. Prior IT experience across multiple domains including Telecom, Travel & Integration, CRM & Analytics in both delivery and support. Currently heading Operations in Wovoyage. Wovoyage is women travel startup, providing safe and women friendly travel in India and abroad to women /Solo women including foreign tourists. We manage solo, group and customized tours for women/family including foreign tourists to heritage and popular destinations across the globe. QuadLabs Technologies is a premier travel technology solutions provider with a focus on delivering world-class technology products to the travel industry. We began our operation in 2006 with office in India and now have other offices in Brazil and UAE, over 90+ customers and over 100 supplier integrations worldwide. XChange ERP, our flagship product, is a comprehensive travel management and distribution system to help clients increase their operational efficiency. We understand the needs of the travel market in diverse geographies and are uniquely equipped to deliver best in class products with the shortest time to market.